It’s been reported that Kristen Stewart has landed two more movie roles, coincidentally right after she was spotted out with Robert Pattinson and Twi-hard Christmas came early. So, was it a coincidence or calculated? I always thought it was odd that the paparazzi managed to get tipped off that Kristen was visiting Rob in his gated community, especially since it’s a gated community in Beverly Hills and it’s hard for paparazzi to get information in places like that – unless they find out something’s happening beforehand. 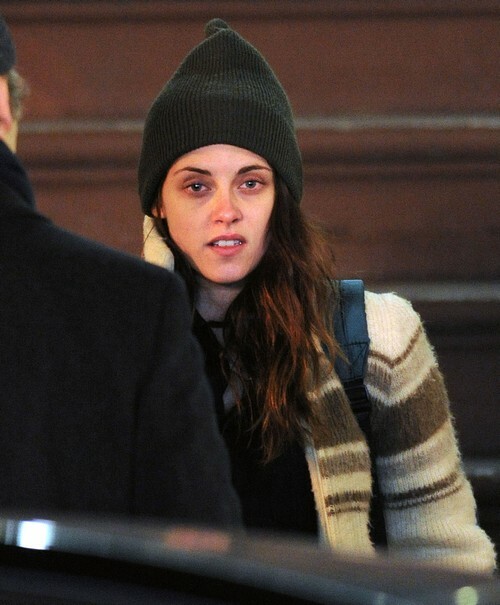 Could Kristen’s team have called the paparazzi? I mean, the roles that Kristen’s landed haven’t exactly been studio blockbusters, but they are solid roles, and it’s a lot more than she was getting a couple weeks back. Since the cheating scandal broke and Twilight ended, Kristen’s shot two very low-key indie films, and she was attached to both of them for a long time. She hasn’t technically ‘landed’ a new role in a very long time, but within the span of two weeks, she’s landed a sci-fi pic with Nicholas Hoult, a stoner chase comedy with Jesse Eisenberg called American Ultra, and a supporting role in Tim Blake Nelson‘s Anesthesia. So why the sudden influx of offers? Our conspiracy theory side is saying that her reunion with Rob definitely helped her land those roles. Our more rational side is saying that Kristen was just biding her time and waiting for her image to clear up in Hollywood, and it certainly seems like it has. I don’t know if studios are still that willing to bet on her, especially when there are many alternative actresses around her age with better public credibility, but it’s clear that there’s still a place for her in independent film.